Our windows are made from environmentally responsible timbers and offer the longest guarantees in the UK. We use laminated finger jointed Siberian Larch, specially produced to utilise natures finest and hardest softwood. Therefore, it naturally resists rot, decay and fungal attack. This wood will undergo some natural movement once in situ as 99% of all timbers have seasonal movement, but has a low maintenance cycle. Accoya is Radiata Pine (Pinus Radiata), the fastest growing softwood on the timber market. With a harvest every 25 years we achieve 3 yields per normal 75 year maturity time of a standard pine tree. Therefore, giving us more timber per m2 of managed forest. The timber is actualised using vinegar, which changes its cellulose and lignite stature, preventing the wood from absorbing moisture. This timber has virtually no seasonal movement or twist, meaning that the structure and paint lasts longer! This means no more sticking doors or windows in the winter, along with a 50 year guarantee. Our Timeless range of windows is exactly that, using elegant period mouldings and delicate sections and lines to create windows to match the finest of their day. These come in either single or double glazed versions with hidden draft proofing for an unobtrusive yet perfect seal. With the highest degree of timber engineering, we offer a diverse contemporary range with double or triple glazing, hidden pocket windows, frameless and even soft close windows. All fittings are clean and precise with shadow gaps and clever mechanisms which, are a must have for an engineered way of life!  First and foremost we are joiners which means that there is nothing we enjoy more than making exquisite, hand crafted joinery. All of our estimates come free of charge so do not hesitate to ask us to provide one for you . We are very proud to unveil our exclusive new range of Cor-Ten windows and doors. These are all produced with triple glazing and high security as standard. Cor-Ten is a unique steel mix that when exposed to the elements will form a layer of rust but go no further. It will remain in its natural rusty appearance for hundreds of years. We highly recommend these as your property will have a unique contemporary look that can’t be found elsewhere.